Most home owners and new buyers have very little building-related knowledge and experience, which puts them at an immediate disadvantage – especially if something goes wrong. Having our experienced and knowledgeable inspectors on your side during and after the building process will not only ensure that you get what you are paying for; it will be of great help in the event of shoddy workmanship being brought to light at a later stage as well. 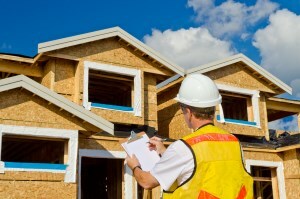 What is Included in Our New Home Inspections? When our inspectors perform new home inspections, they will search for potential safety hazards, suspected non-compliances, any form of substandard workmanship, incomplete projects and building work and suspected non-compliance of original building contracts and customer requests. Although our services can be requested at any time during the new home building process, it is recommended that you contact us before any building work commences, so that we can provide you with the necessary level of support every step of the way. All of our inspections are performed according to the Australian Guide to Standards and Tolerances and the National Construction Code. All of our inspectors are qualified tradespeople and they have been registered builders with many years of experience in the construction industry. They also have intimate knowledge of all current Building Acts and Regulations, ensuring that nothing will be overlooked – regardless of how insignificant it may seem. This enables us to provide you with the most thorough and extensive new home inspections in the industry, and upon completion, you will receive a complete building report detailing everything that requires immediate attention. During each of these stages, our inspectors will have to approve the work that has already been completed and issue approval before allowing the next stage of work to begin. In the event of anything not being up to standard, it will have to be rectified before the necessary permit will be granted. Although it may seem expensive to pay out a few hundred dollars to have a new home inspection performed, it will undoubtedly save you a lot of money in the long term. If you are having a new home built and you would like to ensure that everything is being done according to current building standards, contact us today to arrange for one of our qualified and experienced inspectors to be present at each stage of the construction process.